Where to start! I don’t recall exactly the moment and the reason… but I wanted to create something a little over the top again so I decided to create post-apo Sergej train transformed into some sort of ultimate weapon for whatever you need to fight… zombies? bandits? mutants? or just driving trough wastelands and frag some enemies with the large arsenal of weapons. From close combat fights with spikes and harpoons to long distance bombardment with twin Howitzer cannons. Of course lets not forget that in case there are some mutant pterodons flying around you can use the AA ZU-23-2 gun mounted on the roof. 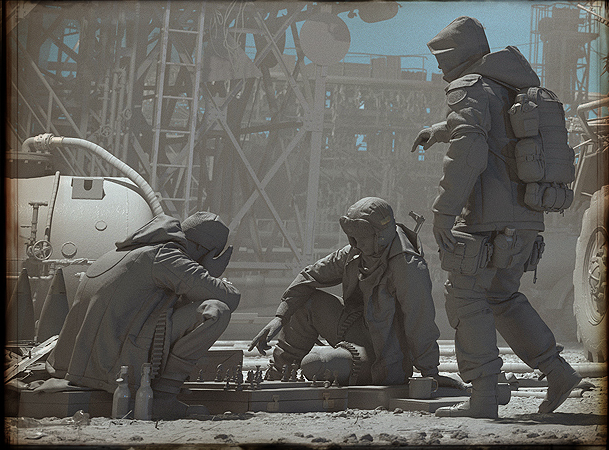 After a long weeks of driving around destroying, looting and scavenging poor inhabitants of the wasteland you are welcome to come to well protected basecamp where you can sell your riches and enjoy speed chess tournament… white to move! 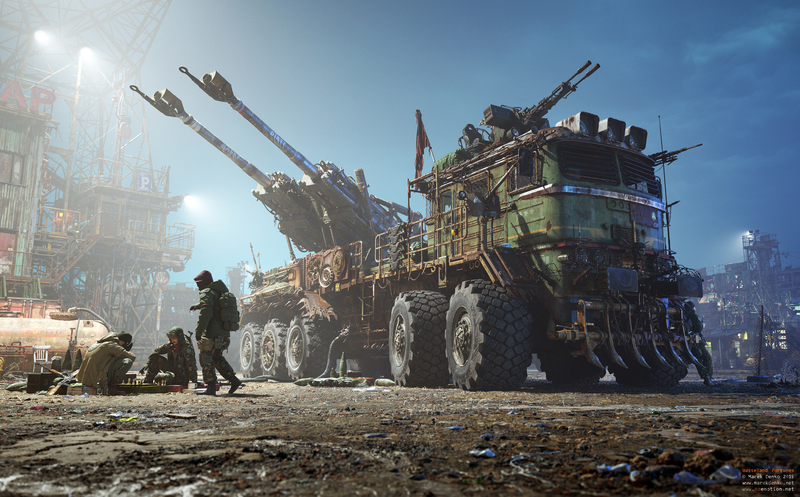 The image was created in 3dsmax and Marvelous Designer, rendered with Vray. Textures and final color touches done in Photoshop. Dedicated to my family, colleagues and all post apocalyptic lovers! 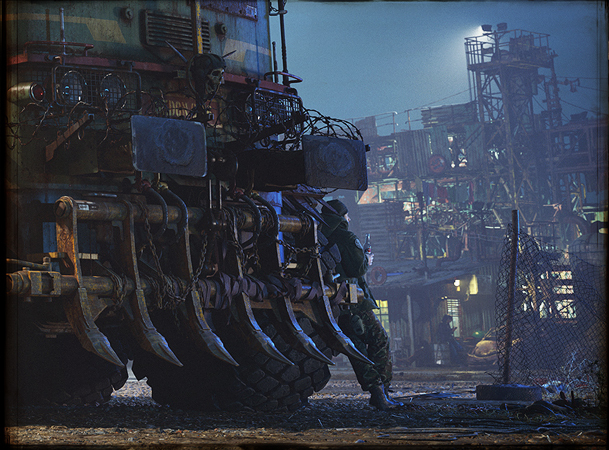 Short making of video of the Wasteland Fortunes artwork. 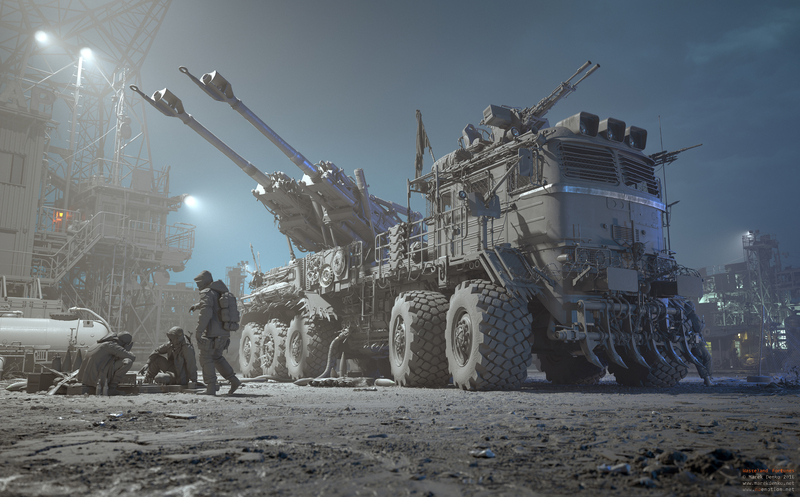 Animation is based on the test renders created throughout the creation of the project.